It’s here, one of the most delicious components of warmer whether -the beginning of grilling season! 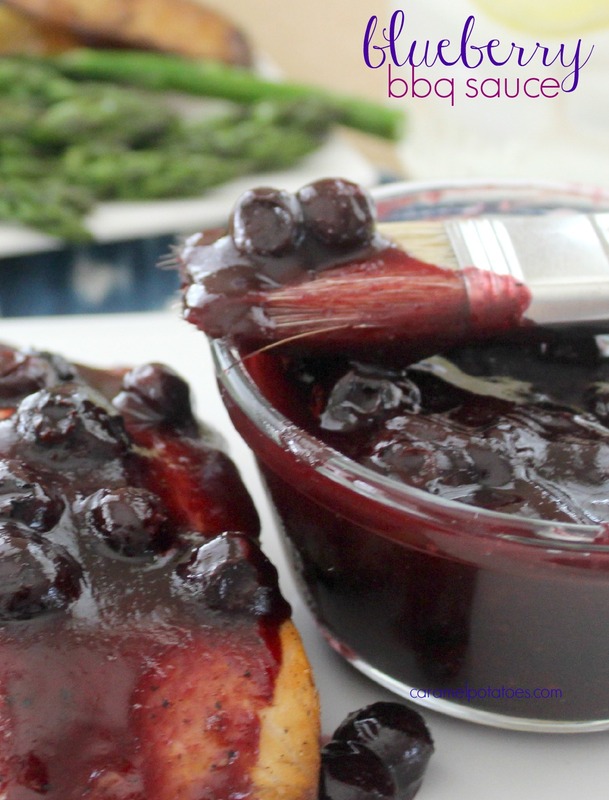 This Blueberry BBQ Sauce is a great addition to your grilling line up! 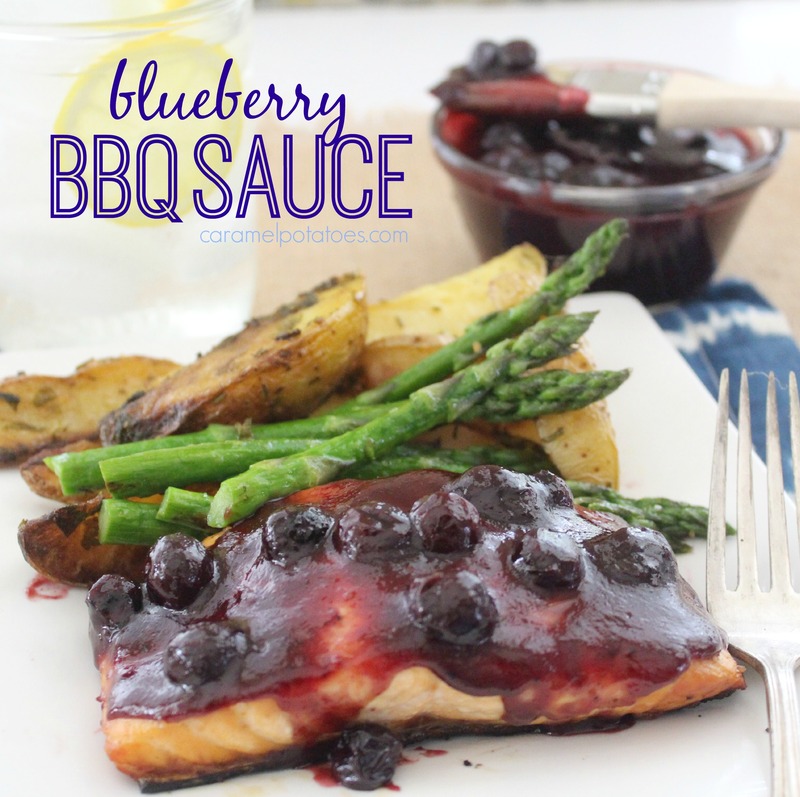 The fresh flavor of blueberries added to the traditional taste of bbq is fresh and fun. 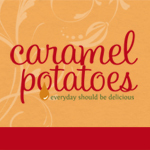 I had seen several recipes for this sauce and came up with a version my family loves- We can’t wait to enjoy it again next weekend! You can use this bbq sauce on any grilled meat, but we like it best on Grilled Salmon. Just grill your salmon with a little olive oil or butter, salt, and pepper. 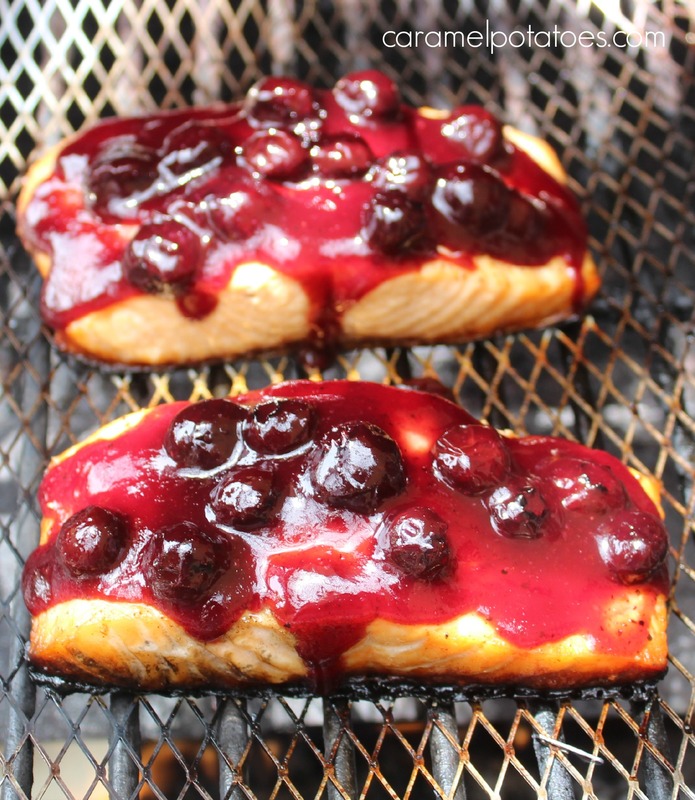 When the fish is almost done, coat generously with Blueberry BBQ Sauce and allow to cook until flaky and opaque and the sauce is heated. The flavors of the sauce combined with the moist and tender salmon is simply divine! I recommend you grill some asparagus to serve on the side. 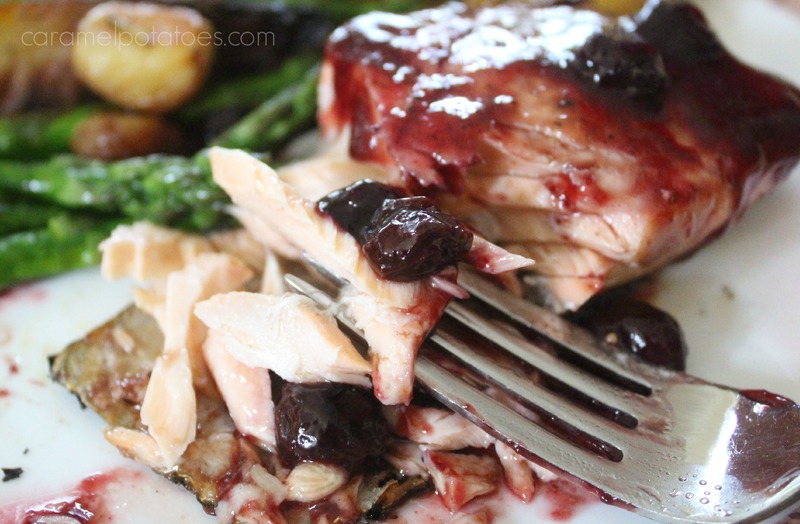 In a medium sauce pan over medium heat, combine all ingredients except the blueberries. Whisk until combined and sugar dissolved. Stir in blueberries and allow sauce to bubble for 7-10 minutes or until it thickens slightly and the berries have burst. Remove from heat. Baste meat just before it finishes grilling. I am drooling right now this looks so good!